On Saturday 12 November, the Nyanga branch hosted the last tutor appreciation event for the year. 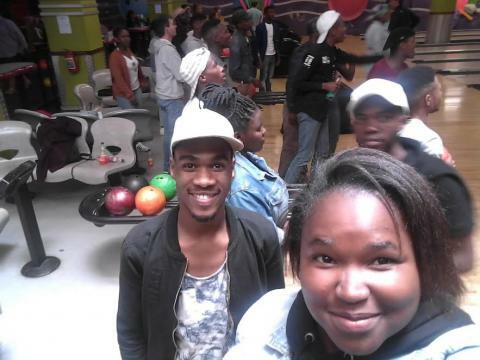 Unlike previous tutor appreciation events, the Nyanga tutors had no idea where they would be going for the event. The invitation brief stated that the dress code was casual and that everyone was required to wear closed shoes. The day began with the usual tutoring session at the branch. All that the tutors knew was that they were going somewhere after the tutoring session. The branch staff kept the tutors in suspense until they had reached their destination. The mystery event was bowling! It was time to let the games begin. The group was divided into four small teams that would play alongside each other. The game consisted of ten rounds for each team and all team members were required to participate in each round. It didn’t take the teams long before the race to the finish line began. The teams cheered each other on as the rounds drew closer to the finish line. It was the most competitive and focused team that emerged as the champions of the day. Everyone agreed that it was purely just a coincidence that this group only had male team members. After the excitement and rivalry of the game it was finally time for lunch. After lunch, the group headed to the game arcade for more fun and games. The rivalry from the bowling alley disappeared and the tutors started working together for a common goal: winning as many coupons as possible in order to redeem a prize that can be taken back to the branch. With over 500 coupons collected, the group was able to purchase Playing Cards and Snakes & Ladders for the branch. It was great to see that the Nyanga tutors think about the branch even when they are not volunteering. It was also great to see our tutors and branch staff battling out on the bowling alley. We are grateful that this small token of appreciation was well received by all those who attended. We Are Ready For Matric 2017! The first session was a parents meeting which ran from 10h00am until 11h30am. The induction is tailored to inform parents on the learners matriculation prospects and providing progress reports on Ikamvanites attending our after-school tutoring classes. It is refreshing to see parents taking initiative by showing interest in their children’s academic progress and the work that we do. 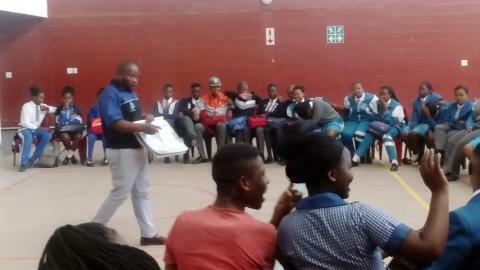 The second session was our grade 11 workshop that ran from 11h35 to 13h30pm. See the picture below of our Ikamvanites, fully dressed in their designated school uniforms. What The Grade 11 Induction Workshop Entails? This induction workshop introduced both our current grade 11 Ikamvanites and parents to the structure of our tutoring and mentoring programmes for 2017. The workshop specifically focused on setting expectations, the procedures, practices and requirements for the programme. Also covered in both workshops were the differences between the three pass levels namely: the Higher Certificate, Diploma and Bachelors Degree (which was previously known as an exemption). This was covered by Ntombi Mahlangu, the Kuyasa Programme Coordinator. The induction process included the pass requirements for each of these levels; the prerequisites for tertiary enrolment; what is meant by conditional acceptance and what to do in order to satisfy the requirements for full admission at certain tertiary institutions. Furthermore during the session with the learners, they were taught to calculate for themselves their matric pass type using mock academic reports so they could be aware of their term 3 pass status. For your interest, click here for the matric pass type calculator. The induction programme was well received by both parents and learners. They remarked that it did not only provide both parents and Ikamvanites with crucial information about the learners’ next step as matriculants, but it also enabled Ikamvanites to become more positively aligned with their personal goals. We are proud of all Kuyasa Ikamvanites! Through their constant effort they have managed to maintain outstanding academic performance. We are looking forward to seeing many of our amazing parents again in 2017! Peers in Sexual Health (PSH) visited IY Makhaza branch on Thursday afternoon, 03 November, to present about the sexual health issues that are facing the youth today. 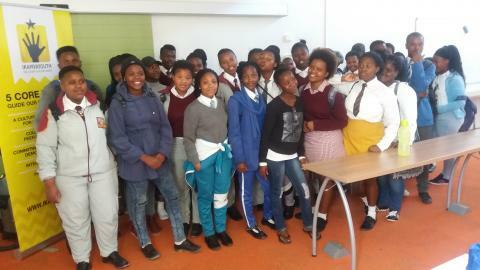 The presentation and engagement was attended by 44 Grade 10 learners. The topic for the day was STI prevention. The learners engaged on this topic by outling the risks associatied with STIs; the ways of prevention, treatment, symptoms and the stages of sexually transmitted infections (STIs). Jabulile, PSH representative, showed the learners illustrations of STIs developing in the body and explained the process. Siphokazi Ntlati, Makhaza intern, assisted Jabulile by jotting down questions the learners were asking during the presentation. One learner, Aluncedo Mzamo, asked whether STIs are listed as a chronical disease and if they lead to death. Jabulile explained that STIs are not chronical and can be cured, however they may lead to death if not treated. Treament for males and females are not the same as STIs are different. Tebogo Mayaphi, grade 10 learner, thanked Jabulile and expressed how helpful the information shared is as he has provided clarity on the questions he had regarding the differences in treatment for males and females. 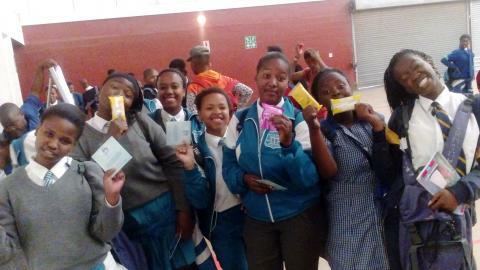 To end the session Jabulile gave learners male and female condoms and pamphlets to read more on sexual related diseases. A huge thank you to peers in sexual health for partnering with IkamvaYouth. 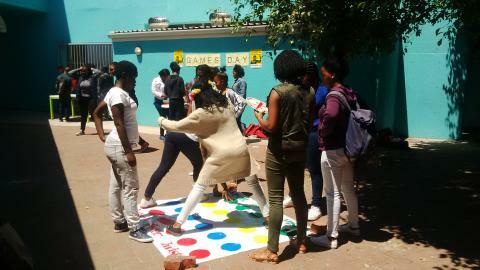 On Saturday 29th October, IkamvaYouth Nyanga hosted a Games Day for all the learners. As exams drew nearer, we decided it would be a great idea to relieve the exam stress through an afternoon filled with fun and laughter. Recognizing that it is a critical time of the year, the learners first completed the academic tutoring session as per normal. After 12:00pm it was pens down and hello to the board games! Thank you to our friends at PricewaterhouseCoopers (PwC) for donating fun board games for the day. There were nine game stations set up; with each game station offering a different board game. Learners played in small teams and rotated game stations after a set time. The board games available included Monopoly, Chess, Dominoes, Uno, Jenga and many more. The tensions at the Jenga and Chess stations were high, while the pressure kept on building at the 30 Seconds station. Learners, volunteers and staff alike were engrossed in the different board games. After the fun-filled and competitive afternoon, lunch was served with a few treats for the road. The afternoon was closed off with a fun yet tricky competition which involved maneuvering an Oreo biscuit from your forehead to your mouth without touching it with your hands. This was the perfect ending to a lovely day. 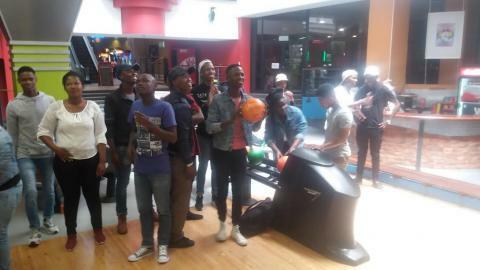 It felt good to have an afternoon of pure fun and games at the branch. We are especially grateful to our superhero tutor Nosipho Mjiyakho and our friends at PwC for making this event possible.